Hello! Did a lot of big changes to the game I’m currently working on. I decided to go back to top down view. I noticed that I am doing a lot of extra work working on things that are not part of the gameplay, but necessary because of the free roam camera. This slowed down the progress by a lot and It did not help the look of the game by much. Another change was how the cutscenes work. I simplified it by a lot. Because I won’t be working on 3d models that are out of view, the camera will be mostly static. 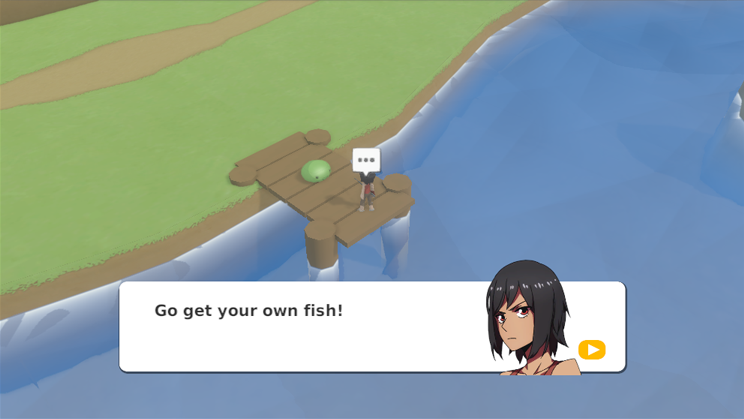 Dialog emotions will also be character portraits instead of animating it on 3d models. I am reworking the battle system too and simplifying it a bit. It’s not much work, but I’m still getting a feel for it and testing it out. Hello! 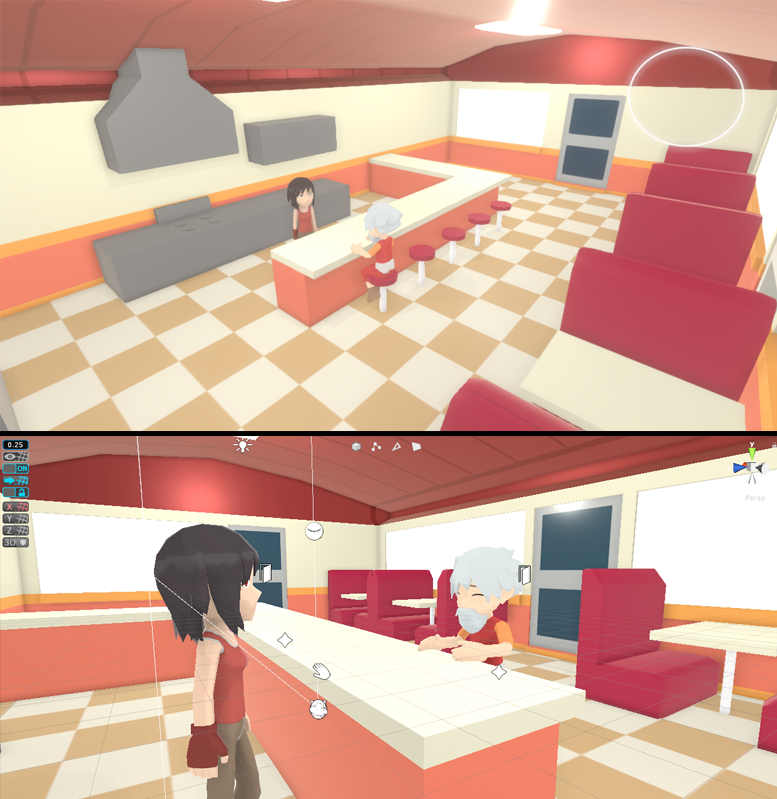 Currently sick, but managed to do some work on cutscenes and events for the diner. The textures aren’t done yet, but trying to get something done as fast as I can. Will probably finish the events and minigame next week. Hello! It’s been a while! I have just been working on a lot of stuff. Here is an update on the Guide Intro cutscene. Please note, it’s still not final. 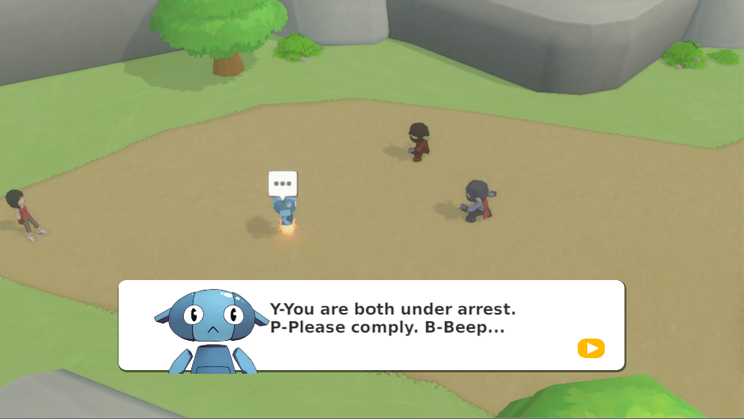 I still need to work on the dialog. I’m gradually changing the ui, and I think it still needs more work. If you guys have any suggestions on the layout or the look, please let me know. I’m also able to do dialogs inside battles now, so tutorials are possible. There are still a lot of fixes that I have to do. The victory screen, enemy spawns, exp gain, character controller and other stuff. I’m thinking of making AP gain as just 1 instead of 3 per turn and have actions be just 1. Currently it’s really confusing. I still need to test it. Battle UI is currently in progress. Need some feedback. I had 22Rii make the character art for the portraits. (She also made the banner up top. Check out her page: http://22rii.deviantart.com/ ). I think the character art looks amazing now. Still need to work on the ui though. I’m thinking of changing the colors for the buttons since it’s currently confusing which ones are clickable. Sorry again, haven’t updated in a long time. I have been redoing and fixing some stuff. Mostly in the cutscene part and the town. Everything is still a work in progress, but I figured I should show the town reconstruction. I’m planning to do a town layout for now to see how it all works with the gameplay. Hello! 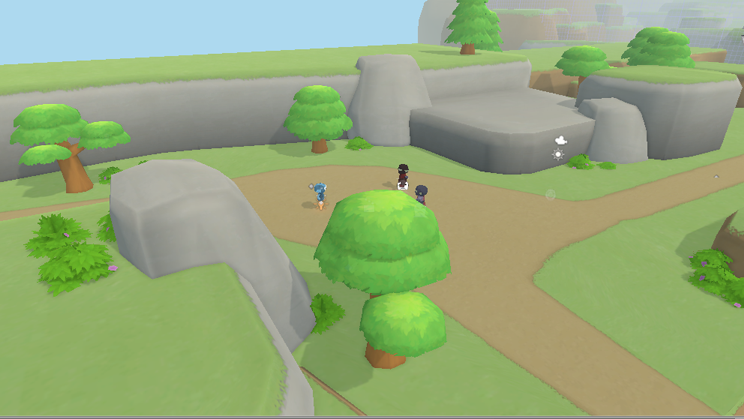 Worked on enemy spawns and minimap this time. Also did some performance stuff. Enemies popup on certain areas now and despawn if you go further away. I think I wanted something like ff13-2, so I tried to copy it. It’s not as good, but I think it’s better than what I used to have. I also redid the minimap from scratch. I didn’t like the minimap I bought, so I coded my own. It’s still a work in progress and enemies still don’t show up on the display yet. I also have to work on the big map. I also did a lot of optimizations with the forest level. I removed most of the trees and bushes since I was getting a lot of setpass calls and batches. I also created LOD models for each of the trees and bushes, but I wasn’t really getting much of a performance boost with it. I guess it is just a nice thing to have. Happy New Year everyone! Just a progress update. I did mostly programming stuff for the game. I switched the character controller with just a simple one. I had tons of problems with the old one, including running up on stairs. Hopefully this one would be better and easier to manage. For the battle system, I went back to just a pure turn based with a turn counter instead. The “Charge” in Crystal Story 2 is now “Defend”. 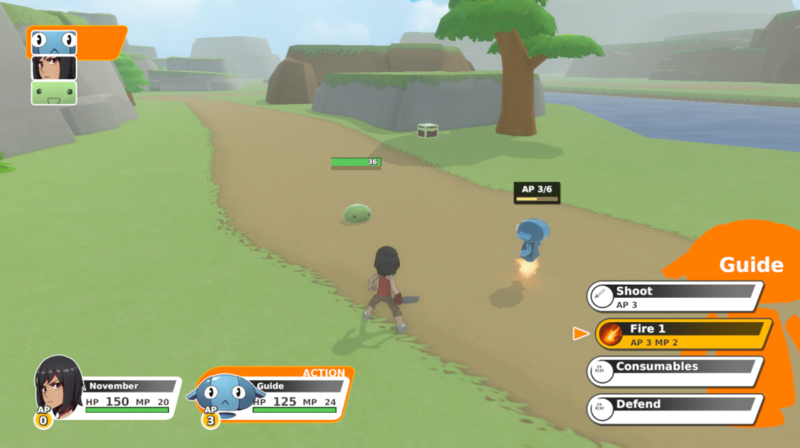 You can stack up AP by defending in order to do more powerful moves or multiple regular moves. I’m still in testing phase on it, and I’m going to try it out. Seems pretty fun though. Hello! Still working on the town (Part 4). It still looks a bit empty for now and I still have to add a lot more stuff.The upper level is still not blocked out. It’s shaping up pretty nicely though I think. Hello! Late Update again. 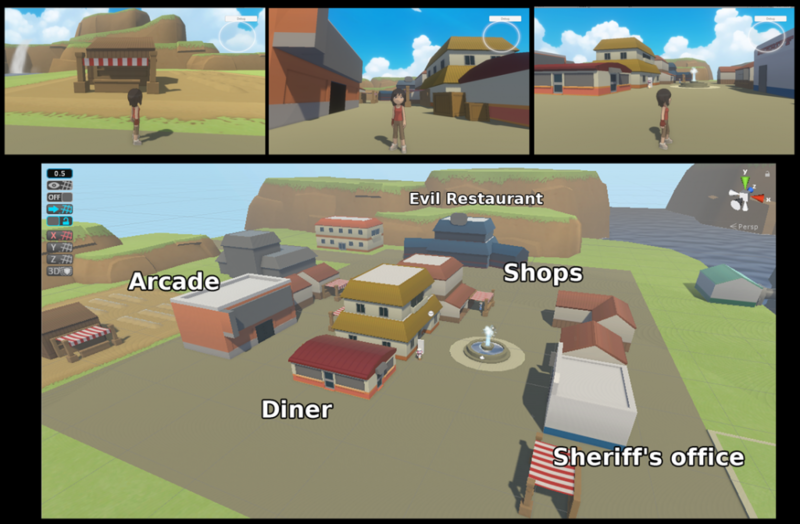 Been very busy :( Anyway, I’ve been working on UI + Making the town look better. It still needs a lot more work, but I’m slowly getting it done. I wanted to make a fun lively town and I’m looking at Chrono Trigger for inspiration. Hopefully I can make one as fun. Oh also I need feedback on the UI colors. I changed it from the teal thing to the yellow. Hello! Sorry again for the late late update. I was working on this skill tree system, but it looked so complicated and hard to implement that I ended up scrapping it in favor of a way simpler one. So that was like a week gone -_-. 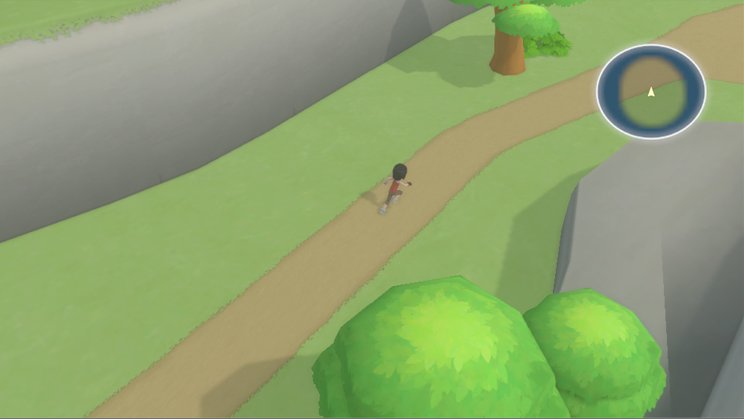 Anyway I decided to make the town 3D instead of just menus like in the previous video. I’m currently just blocking out the locations of the town and still planning it out. For now it’s going to have an Inn, Restaurant, Item Shop, Equipment Shop, Sheriff’s office, Evil Restaurant, and a Mayor’s office. I’m planning to add a location for a farm and the arcade. The main character is the owner of the Restaurant.